With the final episode of Wierdmaggedon quickly approaching, what better way to celebrate the wonders of Gravity Falls than with a delicious burger and homemade chips? Spoilers: the Mystery Meat isn’t meat. It’s a perfect snack for the Mystery Shack, and great for vegetarians from here to Gravity Falls. The first and most important thing to remember is that there are baked sweet potatoes in this, and baked potatoes take quite some time to prepare. To do that, you preheat an oven to 350*F. While it’s preheating, peel and slice one large sweet potato into 1 inch disks. Spray a cookie sheet with nonstick spray, spread the potato disks onto the sprayed sheet, and spray them with nonstick spray too. 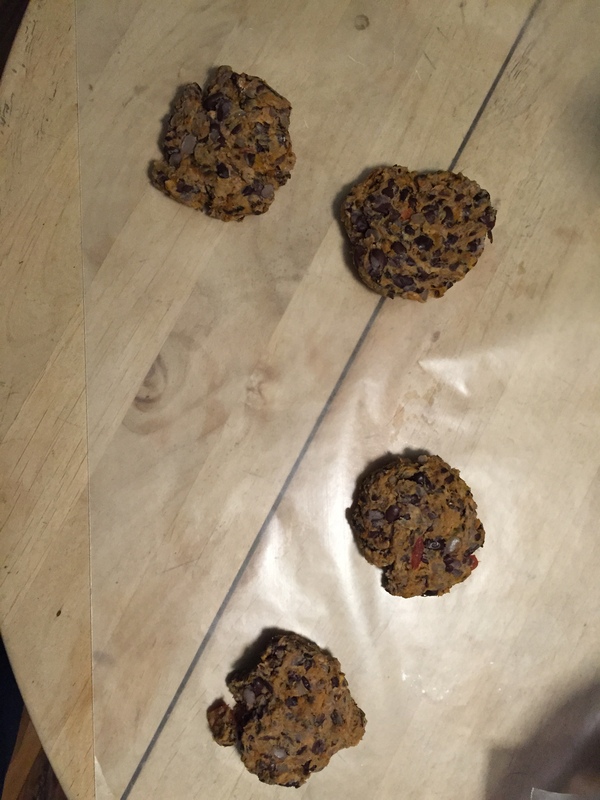 Once the oven is preheated, pop them in for an hour, or until they’ve started to brown. 30 minutes in, flip them over. While the potato is baking, you can prep your Cipher Chips and make your Mystery Meat. 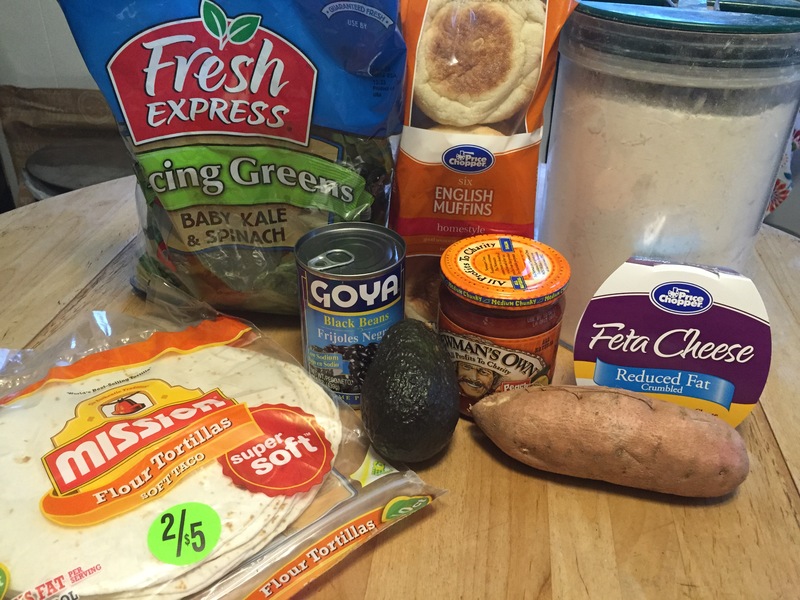 For the chips, you’ll want to stack 4 tortillas and cut them into wedges. Try to keep the wedges in similar size and shape (like our horrible triangle leader, Bill). 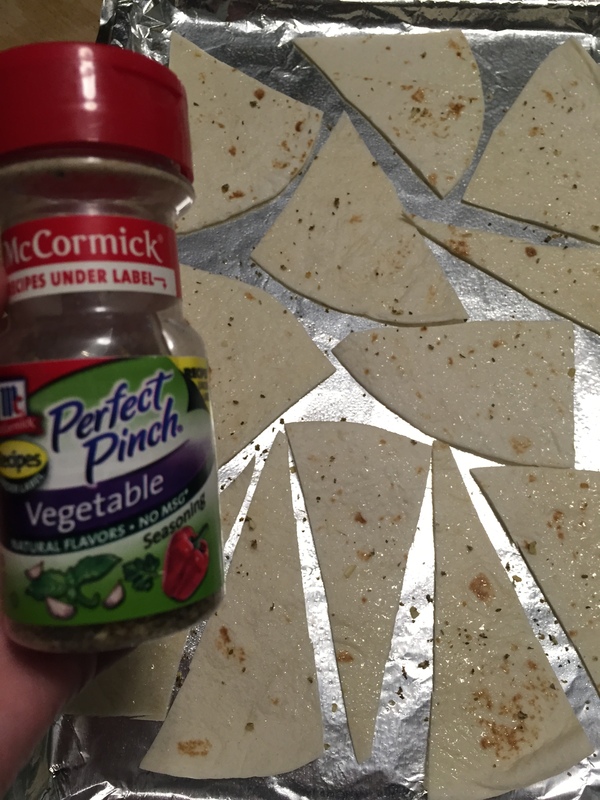 Prep another 2 cookie sheets with nonstick spray, spread the wedges across them, sprinkle with some seasoning (I used vegetable seasoning, but hatred and pure evil would work as well). Set to the side. 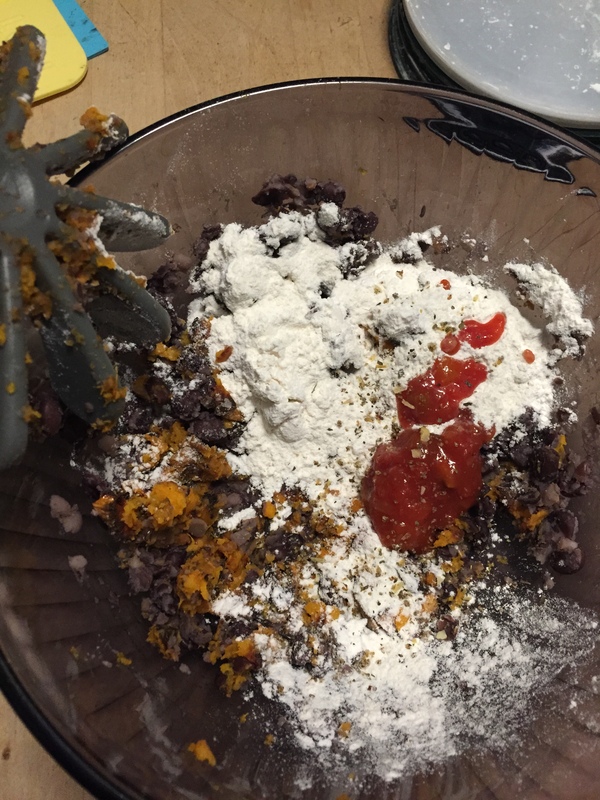 Mash the black beans in with the flour and salsa. 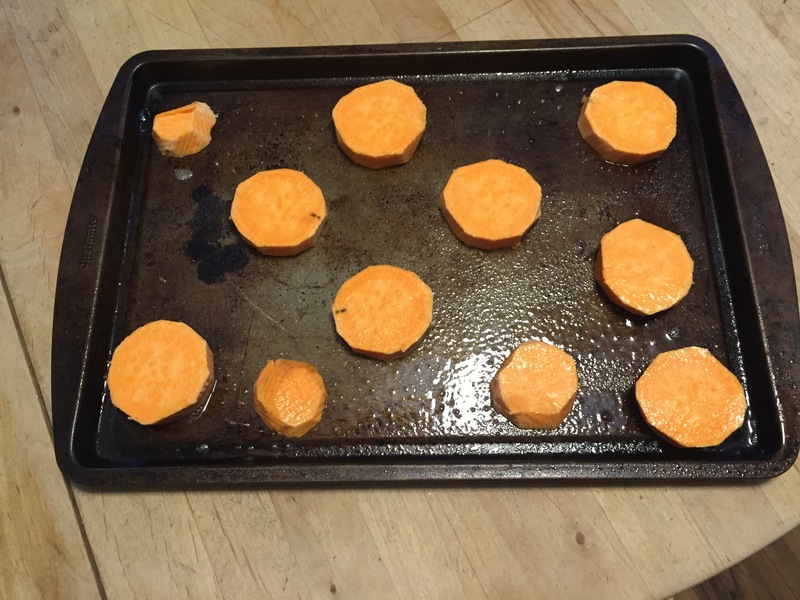 Once the sweet potatoes are done in the oven, mash them in too. Keep mashing until it looks thick, but without huge chunks. Now is the best time to put your Cipher chips into the oven for about 10 minutes. Separate your Mystery Mash into 4 burger patties. Spray a frying pan with nonstick spray, and cook up your burgers. Even if you’re only going to have one, you’ll want them fully made before you cool them and store them for next time. While you’re finishing off the burgers, pop an english muffin (one for each burger you’re having/serving) into the toaster. Mash the half avocado with the feta cheese. Even when you’re done with the burger, this feta and avocado mix is the perfect Mystery Snack with your Cipher chips! To serve, put some baby greens on the english muffin, then the mystery meat, add the avocado and feta mixture, and add the top of the english muffin. Ta-da! Write this up in Ford’s journal, because you’ll want to make it again and again. You can add some extra peach salsa to the side to have with your Cipher chips, or just more avocado and feta mashed together. If you’ve been searching your weird town for a tasty burger that fits almost all diets (healthy, protein-full, and vegetarian), you can stop looking. This, much like our new overlord, Bill, is the answer to many of your problems. Plus, it freezes so you can eat your extra burgers later. 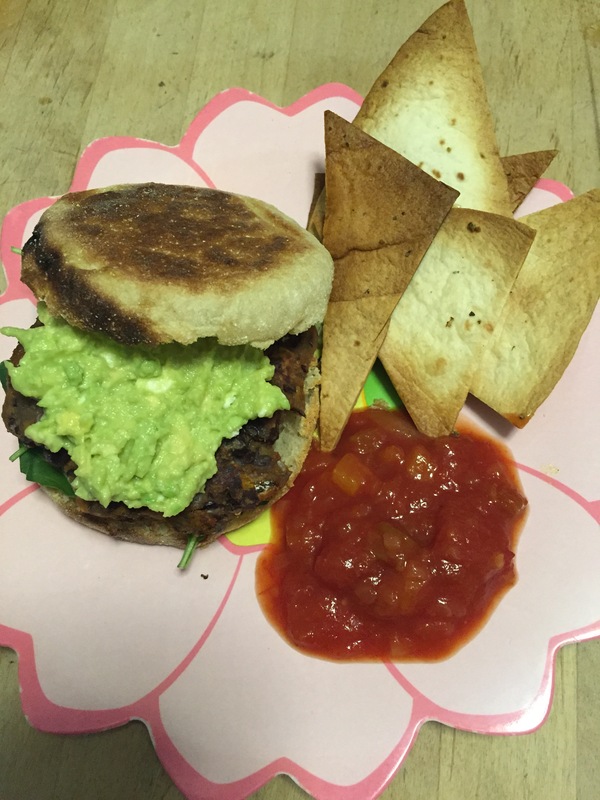 As a life-long vegetarian, I’ve grown rather bored of store-bought veggie burgers. They’re kind of gross if you microwave them, and they definitely aren’t the tastiest thing. Local restaurants have made my standards far higher when it comes to veggie burgers, and I realized that I needed an easy, freezable burger; something that would be good for a gal on the go (much like Mabel). This suits my needs, and is absolutely delicious. I did end up cooking my chips too long in the ovens, so they needed a lot of salsa to be as tasty as I wanted, but other than that, this was an incredibly easy and fun recipe, that tasted amazing. Go forth and make your own Mystery Meat burgers!